The tech giants now have a much bigger role to play than infotainment systems, and will be more responsible for a vehicle than automakers themselves. Up until now, we have written and rewritten extensively about how autonomous driving and connected vehicles are the way forward for the automotive industry. Technology companies are working extensively on automotive projects driven by powerful processor boards, artificially intelligent and increasingly complex algorithms, imaging components and elaborate services, to bring forth vehicles that will redefine in-car luxuries, alter the way we drive and give automobile giants a new industry altogether. With research going on internationally, the Indian automotive industry has so far had a quieter time in terms of the innovation and research. Popular consensus points at Indian roads not being ideal for self-driving vehicles, with unclear lane demarcations, narrow alleys and difficult traffic situations. But, with the volumes that the Indian auto industry produces, companies are bound to focus more on this market. Development, as it seems, has already been progressing. There are a lot of obstacles still to be overcome, and a lot of processes yet to be developed further before we attain the levels of autonomy as certified by the Society of Automobile Engineering. To attain this point, technology and auto companies must coexist. As Dr. Timothy Leverton, President and Head of Advanced and Product Engineering of Tata Motors tells us, “The execution of autonomous vehicles is a hugely complex task which places demands on OEMs and their suppliers and development partners as well as regulators. We can expect the emergence of autonomous technologies to begin with increasing use of driver assistance systems into vehicles, collection of traffic data and its analysis, and the definition of initially small dedicated areas and routes for autonomous vehicle function.” These small, dedicated areas of focus is where technology companies are stepping in. The new role of tech companies will not be to just outsource secondary elements in vehicles. Instead, technology will be the primary driver in our future vehicles, which is where these companies will play a significantly more intrinsic role. From each of their explanations, there is a clear trait - the objective is too large for tech companies to make their own production vehicles. Similarly, auto companies will have to rely on technology innovators rather than developing their own infrastructure from ground. Not only does this save a lot of investment, but the fields of autonomous driving involve neural networks, deep learning, advanced imaging and sensing and cognitive science, all of which are well beyond the purview of car makers. On top of that, technology companies already have established networks for autonomous driving technologies to evolve on. 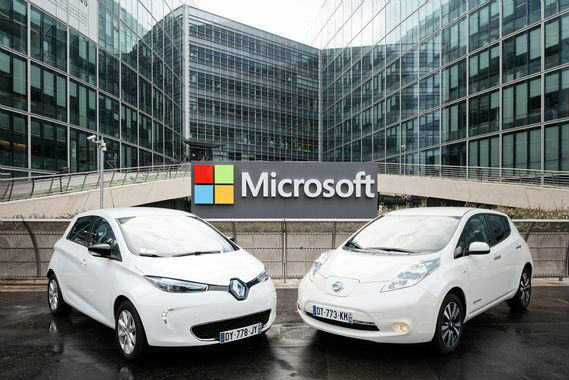 For instance, the Microsoft Azure cloud network is an existing infrastructure that auto companies are already working on to power the connected car ecosystem. With Intel’s data center prowess and AI achievements, using the existing data rendering technology in cars make operations more reliable, and it is this that is the way forward for the entire industry of autonomous vehicles. Over time, it has been evident that cutting edge technology of the present will gradually trickle down to commonplace implementation, become affordable, and eventually make way for newer advances in a particular field. That, pretty much, has been the law of progression. In the field of autonomous driving, meanwhile, the very first thing that comes to mind is how this service is a luxury. Owing to higher costs of engineering, autonomous technology will first be fit into premium segment cars (which are more expensive at the first place). This, in turn, will lead to commonplace luxury technology, and the trickle-down will follow. Remember seat ventilators in cars? Tata Motors, one of India’s leading auto makers, is bullish, but acknowledges that it will take time to spread mass awareness. “It is very clear that self driving cars will become an increasing part of our mobility experience. However, the proportion of self driving vehicles will increase gradually and around specific applications and locations. The demonstration and public experience of safe use of autonomous vehicles over some years will re-assure people that the technology can be relied upon. One of the key arguments for autonomous control is the expectation that fewer accidents and risks will be faced by people when the majority of vehicles are controlled this way,” says Dr. Leverton. Yet another area where the synergy of technology and automobiles will be of tantamount importance is in safety. Connected vehicles wired to Cloud services and having the necessary powers to drive itself can be a deadly hazard in the hands of a malicious user, which has led to companies like Toyota exploring blockchain as a possible security standard to be undertaken. But, while possible routes are an avenue yet unexplored, a lot of silent work has already been put in to the field of security for connected vehicles. The automotive industry is rapidly evolving and cars are slowly transforming from a simple mode of transport to a personalized mobile information hub. Until recently, cars have been isolated from their environment and from the internet, but the Connected Car will soon feature various wireless technologies like V2X communications, telematics, Near Field Communication (NFC) and multi-standard digital broadcast reception, complemented by ADAS systems that implement autonomous driving features. Modern vehicles are gradually turning into ‘smartphones-on-wheels’, which continuously generate, process, exchange and store large amounts of data. 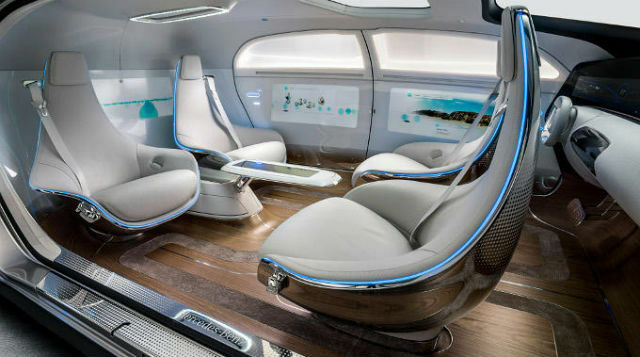 Their wireless interfaces connect the in-vehicle systems of these ‘Connected Cars’ to external networks such as the internet, which forms entry point for hackers, opening the door for remote attacks. Hence, the rapid increase in electronic complexity is potentially making them more vulnerable and giving rise to a new range of threats and hacks. The big challenge for vehicle manufacturers is therefore to implement solutions that block hackers, with different motivations, resources and skill levels, and using many different attack vectors, in a cost-effective way. NXP is world leader in crypto- and authentication solutions, and has been working towards bringing banking-level security into the automotive world. Each connected component has its own specific security challenges. The 4+1 framework provides the right level of protection and countermeasures to individually address the security needs for each one. This structured approach delivers multiple levels of defense, from the vehicle’s perimeter to the individual electronic control units (ECUs), eliminating vulnerabilities. The 4 layer security framework provides a holistic approach for securing the complete vehicle architecture, using a defense-in-depth strategy. Gupta, meanwhile, acknowledges that work is under way, but is still some way from its goal. “A growing economy and rapid urbanisation need a robust urban infrastructure for domestic growth of the automotive sector, which has been boosted by the Smart Cities Mission. 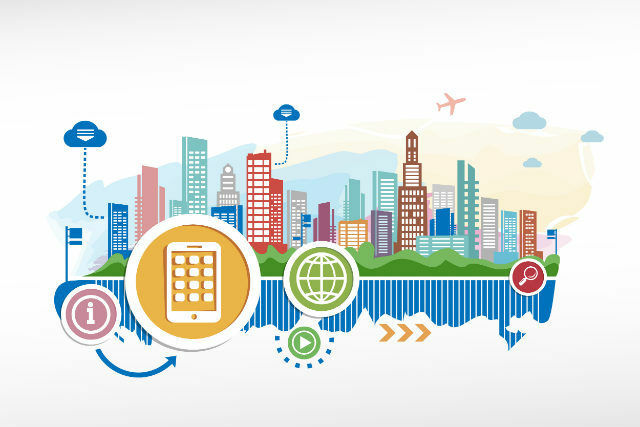 One major components of Smart Cities initiative is creating and developing an efficient urban mobility and public transport system that provides a variety of transport options. 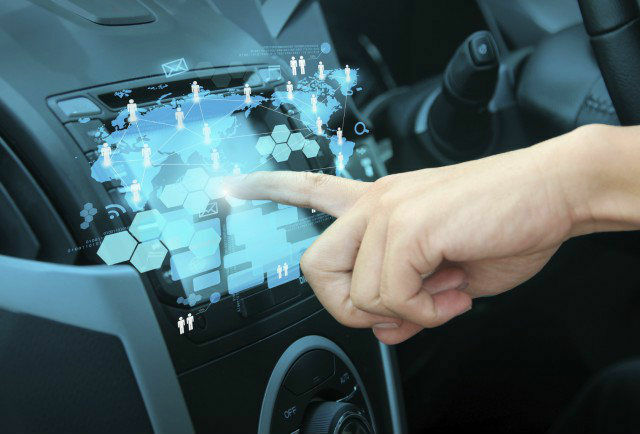 Connected cars provide seamless connectivity between different electronic systems such as infotainment, control systems, safety features and navigation features through internet within the car as well as with outside systems through Internet of Things (IoT). 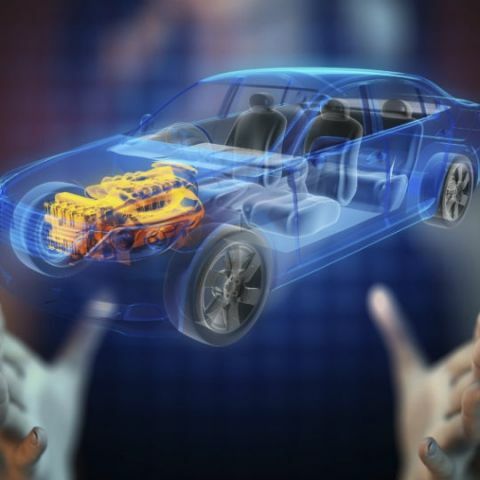 Connected cars would encourage collaborations between manufacturers of electronic devices used in cars, mobile devices, wearable devices, IT systems integrators as well as ISPs. Therefore, connected cars will play an instrumental role in catalysing the envisaged smart transportation and smart infrastructure leading to further increase in the economic activity in automotive sector in the next decade,” he concludes. It is evident that the possible innovations in advanced locomotion in India will first roll out to commercial vehicles, while personal commuting with connected, autonomous vehicles is quite some time away. Technology companies, in this space (globally), are playing a significantly more important role than ever before. While automobile companies will continue to “make” cars, the hearts and nerves will be provided by technology, where algorithms will soon be deemed more important than the engine itself. Our cars will soon get to “see”, “learn”, “react” and “talk”, every necessity of a human driver, and it is the synergy between technology and automobile giants that is making this possible. Anybody know when Firefox smartphones are coming ? Which smartphone versions and best graphical user interface are coming in the 2014-2015?